A USB flash drive is a basic and almost essential gizmo just about anyone should own today. Flash Drives come in millions of varieties including truly ultra portable ones such as the Super Talent Pico or with high grade security such as the IronKey. The SanDisk Cruzer on the other hand is a traditional USB flash drive that’s affordable, offers large storage capacities, and simple to use. 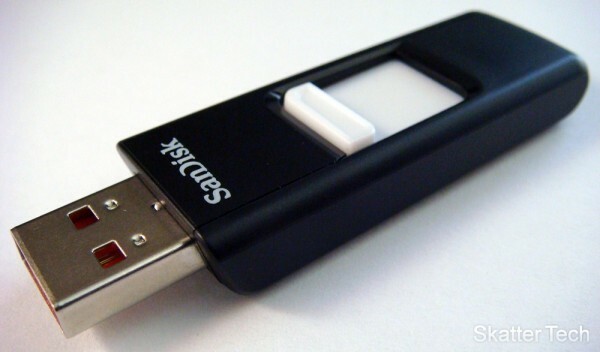 The SanDisk Cruzer model for 2009 retains the traditional form factor of a flash drive. The unit looks simpler and stylish compared to the previous generations. The unit seems durable and will survive plenty of handling. The USB connector recedes into the plastic casing when not in use. The white button used to slide the USB connector in and out lights up orange when connected and blinks when data transfer is in progress. Coping a 700MB video file (DiggNation HD Podcast) over to the flash drive took about 1 minute and 20 seconds. Read speeds on the other hand were much faster, I copied the same file back to my computer in just 20 seconds. This variation between write and read speeds are expected and normal for average flash drives on the market, high end drives ones will offer much faster write speeds. The Cruzer now comes by default with a pre-installed launcher to manage a set of programs on the flash drive. This a quick and easy way for the average student to access simple applications and manage there files on the flash drive. There’s a little built-in application store to grab both free and paid portable software. Most of the items listed seemed mostly useless, however some great tools including portable versions of Firefox, Avast!, and a few other tools were also listed for free. For those of you that despise having pre-loaded software on their flash drive, SanDisk has finally included a removal tool on the device. In the past, users would have to hunt down the removal tool by either searching the web or finding it on SanDisk’s website. That option is truly welcome and appreciated. Overall this is an excellent and reliable flash drive for the average person. It doesn’t have anything too special, but instead it’s affordable and simple. 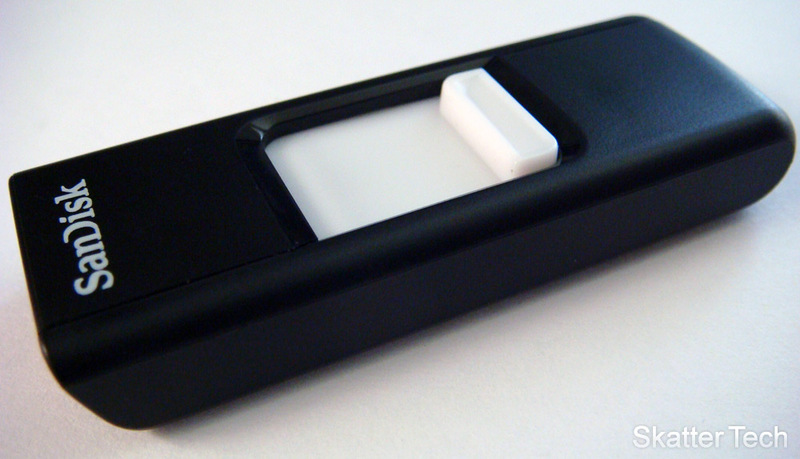 Extremely cheap flash drives may often seem like a great deal at first, but they often result in data being corrupted. Whether you are a transporting office documents or multimedia, the SanDisk Cruzer is a quality product from a reliable brand name. The unit tested in this review, provided courtesy of SanDisk, was 8GB model; however a lower capacity 4GB model and higher capacity 16GB/32GB models are also available. The original MSRP by SanDisk is usually high, but they are almost available for a fraction of the price if you shop around. I’ve included links to Amazon’s pricing below which starts at just $12 for the 4GB model.